NEW ARRIVAL! Sterling Silver Beautiful 3d Wolf Head Pendant. This is a Heavier Weight Beautiful 3d Wolf Head Pendant, it has lots of details and it is textured with his head sticking out in 3d. This Lovely Wolf Pendant is approx 1 1/2cm wide and 2 1/2cm high incl loop. Suitable for all Wolf Lovers & it is sure to be A Best Seller! Phot does not do this lovely wolf justice he is much nicer than he looks. NEW ARRIVAL! Sterling Silver Beautiful 3d Wolf Head Pendant. This is a Heavier Weight Beautiful 3d Wolf Head Pendant, it has lots of details and it is textured with his head sticking out in 3d. 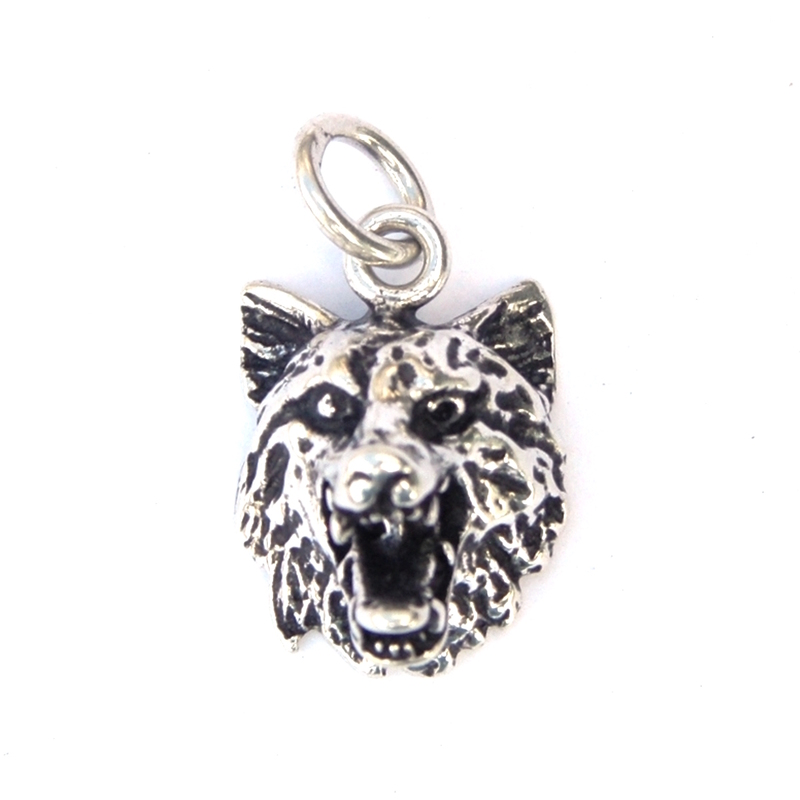 This Lovely Wolf Pendant is approx 1 1/2cm wide and 2 1/2cm high incl loop. Suitable for all Wolf Lovers & it is sure to be A Best Seller! Photo does not do this lovely wolf justice he is much nicer than he looks. This website is strictly for approved Wholesale customers only, if you are looking to buy this Beautiful 3d Wolf Head Pendant from a retail store, please visit Shooting Star.